Do you ever feel like eating real food on a budget is like taking one step forward and two steps back? You follow all the tips, all the advice and all the grocery hacks you can find on the internet, but it’s never enough. What you really want – what you really need – is someone who’s an expert at eating real food on a budget to start from the very beginning. To walk you through their process, explain every single step of their method and help you create your own system so you and your family can eat healthy food for less on your terms. That’s why I created Grocery Budget Bootcamp. For years, readers have been telling me that they want to eat healthy food for less but they didn’t know where to start. They’ve made a few changes, but it’s not enough. They struggle with meal planning. They struggle with shopping. They have a kitchen full of food but they don’t know what to make for dinner. They want to save more, eat better and they know it’s possible because they see other people do it. The problem is they don’t know HOW they do it. It’s a constant battle between putting healthy food on the table and not spending an arm and a leg to do it. And at the end of the month, the budget always loses. I totally understand where they’re coming from because that used to me be. When we made the transition from processed foods to real food, there were advocated saying to be mindful of the budget. Everyone was touting pastured chicken and raw milk and grass-free butter, but no one ever said anything about how these three things alone would cost me more than my entire grocery budget each month. I had to learn how to eat real food on a budget the hard way. I had to learn how to prioritize the food we bought and maximize every dollar I spent so that there was still food in the kitchen at the end of the month. Fortunately, you don’t have to learn the hard way. 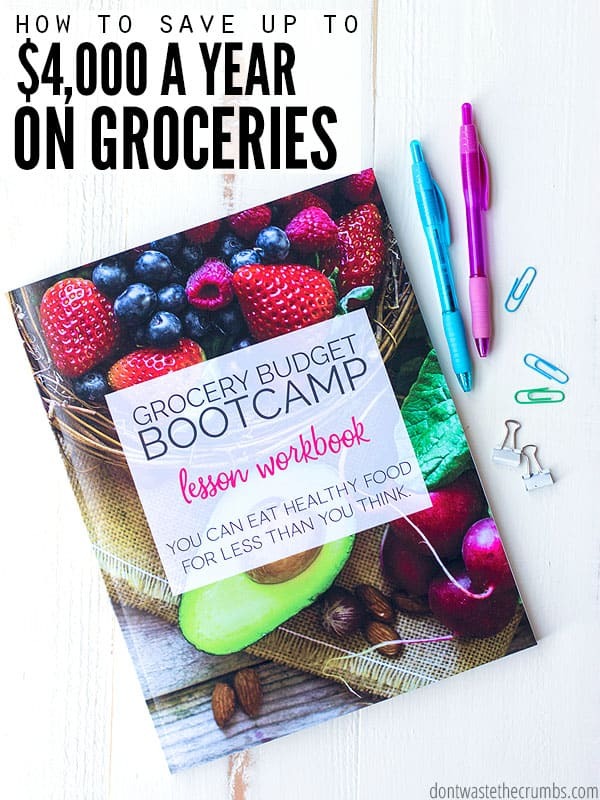 I’ve taken everything I’ve learned and made it available for you in Grocery Budget Bootcamp. What is Grocery Budget Bootcamp? Grocery Budget Bootcamp is an online course helping you enjoy healthy food for less. There are 13 lessons delivered over the course of 8 weeks. Each lesson comes with printable worksheets that go into extreme detail and together, they cover every aspect of real food on a budget. It’s more than a list of easy ways to save money. It’s more than a list of what to buy at Costco. This is a comprehensive program that leaves no stone un-turned. I am literally holding your hand through the exact same method I have been using to feed my family real food on just $330/mo for the past four years. From the small coastal town of Monterey, CA to the large city of Atlanta, GA, this method has proven itself time and time again. It’s intentional, it’s strategic and it works for any family in any situation. Do you deal with food allergies? It works. Do you want to buy all organic? It works. Do you live far in the country, in the middle of a big city or somewhere in between? It works. It doesn’t matter what your income currently is or where you are in your real food journey – Grocery Budget Bootcamp will teach you EXACTLY how to eat real food on a budget so that it works for YOU. The results from the focus group have literally blown my mind. Colleen from Colorado saved $50 a week on groceries. That’s $2600/year! 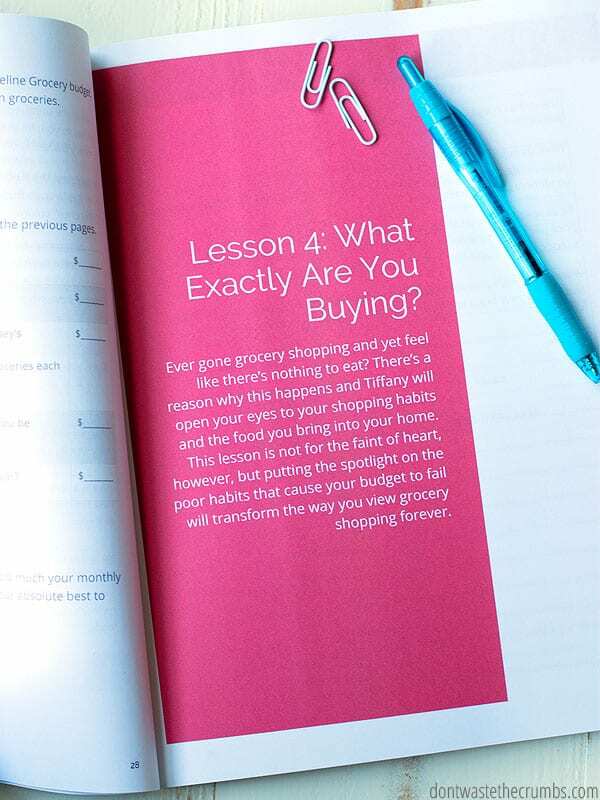 Heather from Tennessee saved $200 on groceries after implementing only HALF of the strategies in Grocery Budget Bootcamp. And Lisa from South Carolina estimates saving over $325 a month after completing the course – that’s nearly $4000 in just one year! I’m honestly not surprised at their savings though, because the methods in this course are the same ones that allowed us to pay off our debt and buy a house in cash! I am literally the proof that the methods in this course work! 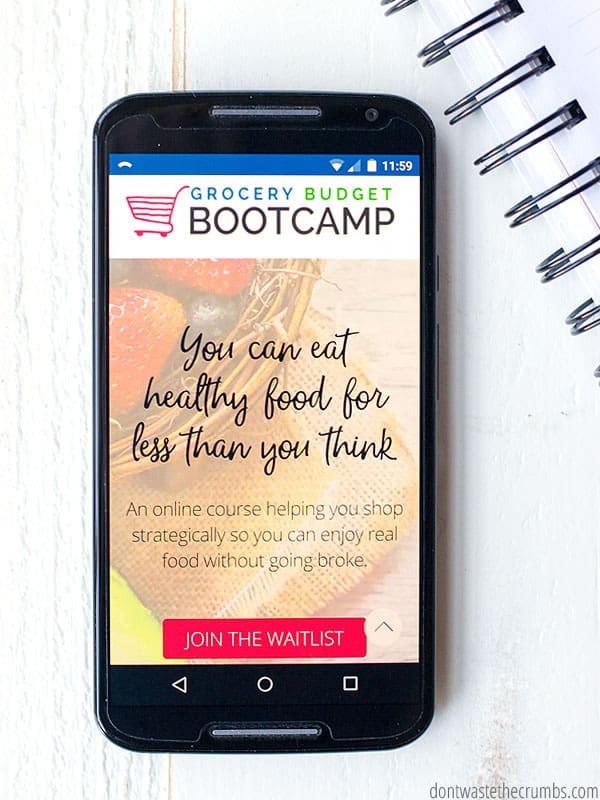 Enrollment for Grocery Budget Bootcamp will be open for a very limited time, and I’m SO beyond excited to share it with you, that I’ve prepared a very special 3-part video training series as a sneak peek into how this course can transform your grocery budget forever. Sign up for the training here, and watch your email. The first video will be delivered soon! Yes, you CAN eat real food on a budget – let me show you how! Excited for this to roll out – definitely telling others about it! !